The Lion Turtle was odd...I knew the island was floating though!!!! Can't believe it was a gigantic Lion turtle though..kinda odd. I also had issues understanding him. And qhen the glowing started...WEIRD! But at least it was explained! The true heart can tough the poison of hatred without being harm. Since beginningless time darkness thrives in the void but always yields to purifying right. ...Wait for him. He will come. In the era before the Avatar we bent not the elements but the energy within ourselves. To bend another's energy your own spirit must be unbendable or you will be corrupted and destroyed. The key part for me was the Iroh and Zuko reunion. I didn't cry when I saw it but now seeing it again, I have to tear up. 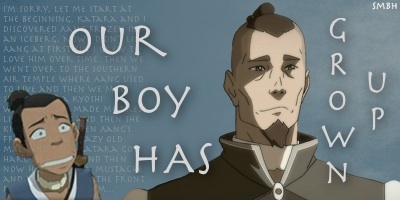 That was very heartwarming and just hearing Zuko cry was heartbreaking. I knew Iroh would forgive him. Dante Basco did an excellent job. The LionTurtle part was HARD to hear. I didn't understand a word he said. But now I do. I liked it though. Something that has lived before bending began is very interesting! This episode was very good! I give it a 10/10. I'd rather eat garbage lettuce than a dead body. "All old people know each other." Though it was only the ones that were former masters of the gaang. They're the only awesome ones, I guess. you're the greatest Avatard I know. 5) TOPH totally likes older guys doesn't she? 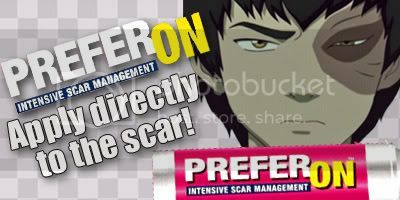 Yeah, with the whole taking a life- changing field trip with Zuko! And Zuko was blushing- aww! 6) Zuko looked bored though while they were talking- too bad! Jun! She's awesome! I knew she was going to kid around with Zuko and Katara! 10) Nyla and Appa 4ever!! Best couple on the show! 11) Good old days comment from Zuko was funny! 13) All the old people!! YAY! 14) DUDE! Grandfather Pakku?! When did this happen? That was a surprise!! 15) King Bumi is stupid/crazy/funny!! 16) ok, when King Bumi was talking on how he took his city back, the sound cut off for like a sec- was that just my tv? 17) I agree with what Avatar Yangchen said to Aang. av by nonamk, resized by me. ZOMG, IROH IS BACK!!! and he brought reinforcements. Piandao is with him!!! 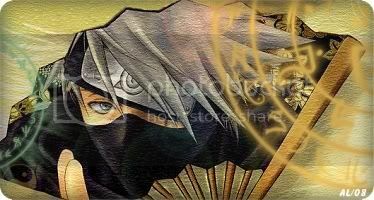 I keep Kakashi's Anbu mask. Kakashi's sword & sweet lips. Either my eyes are playing tricks on me or does Avatar Kuruk look exactly like Hakoda....a possible Ancestor of his ? That would greatly explain why Katara developed into such a powerful waterbender in a short span of time. That would be AWESOME! I like that theory. IT'S THE WHITE LOTUS SOCIETY. My dad was super right about the White Lotus Society. heck yess! Go Bumi. He is a super cool mad genius. AWWW. I cried when Zuko was apologizing. Poor Zuko. It really hurts. Zuko felt so horrible about hurting his uncle. Amazing A lion turtle :3 and it can talk Very wise. 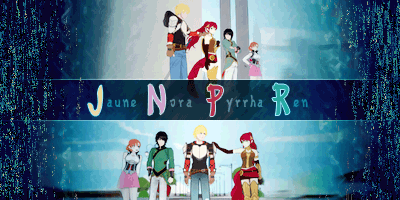 I feel like an old wrung out dish-rag after seeing all four eps, but I wanted to go back to this first. I'm a tough girl... I almost ALMOST cried at the Zuko/Iroh reunion. Me. Crying for a cartoon. I'm in awe on the way it was handled. It was perfect. Still somewhat paced - good. The Order of the White Lotus, the return of all the old masters, the Lion Turtle from the Library... Finally, all the carefully laid strings come together and form a magnificent tapestry. I'm a big Babylon 5 fan and one thing that is always present in any review of that series is "NOTHING IS UNIMPORTANT". With the rocky road that series went, it's not true. There are plotlines that disintegrate and things that just disappear or come out of nowhere. On Avatar it's true. Nothing gets lost. Everything comes back, gets mirrored, gets looked back to, or foreshadowed. Things are built up for a long time, and when they pay off, it's amazing. A work of art, indeed. But one thing is the jewel of this episode, that shines: the reunion of Iroh and Zuko. I did not cry, because I was too stunned. I want to cry now, thinking back. From Zuko getting the jitters in front of the tent, to sitting down and just waiting patiently for Iroh to awaken, no matter how anxious he must be... To Iroh just hugging his nephew and holding him like there's no tomorrow (and there might well be...). I don't think I have ever seen such a to the point portrayal of what love is. For three seasons we have seen them go through thick and thin, through high and low points, we have cheered, we have sniffled, we have cringed... And hoped. For Zuko to finally come to his senses and see what he really has. What is really important. And now, he has. If there is one thing in this show, one moment I will treasure beyond all others, it is this. And in comparison, the rest of this episode, as satisfying, as amazing, as cute (Toph and field trips *lol*) it was, pales. 10/10 as if there could ever have been any doubt. I found Jeong Jeong's voice - weird. it didn't sound the same as it did in The Deserter. For anyone who had trouble understanding the Lion Turtle - close captioning! Know what I like about Appa? His sense of humour! Bumi: All old people know eachother, didn't you know that? This episode had some seriously awesome comebacks. We already saw Jun in episode 318, but we saw her Shirshu too in this episode. And its name is Nyla! It's a girl shirshu! Jeong Jeong, Pakku, Piandao and Bumi, all being members of the White Lotus? Awesometastic I love that they all came back. And Bumi's tale of how he took back Omashu was awesome. And PAKKU MARRIED GRAN GRAN?! OMG that made me squeal SO MUCH when he said that! I love how Aang called on his past lives for advice. It was funny how it seemed like Momo was afraid of Avatar Kyoshi when Aang called on her. It was even funnier though when, after talking to Kyoshi, Aang sighs heavy and says "I *knew* I shouldn't have asked Kyoshi! ", hee hee! And then, of course, there's the IROH-ZUKO REUNION!! The hug, the tears, the emotion. Oh my. Everything was perfect! And it's about time too! The giant talking lion-turtle island was kinda freaky, and I didn't quite understand what he said. At least I'd read the book and I knew what its words were, because otherwise I'd be sitting here scratching my head wondering what he said. Ooo, I love the wisdom of the lion turtle here. Those quotes can really be applied to real life. It's so believable and realistic. And epic comebacks of the various cool old men! Their presence on the screen just paves way for something really awesome to come. Iroh and Zuko's reunion. Just wow. I love their understanding and undying love between each other. So emotional, so wonderful, so calming. This episode really really preps us up to the Grand Finale. I'm so full of adrenaline rush when I watched this again just a few moments ago. I can feel my heart pounding in myself. Now which cartoon can make someone feel like this everytime even though they've seen this episode before? This episode is now one of my favorites, if for no other reason except the Zuko/Iroh reunion. Everything else was awesome too, and I loved every minute of it, but that scene was just so beautiful and touching. I love episodes and scenes that are so moving that can make me cry, and this scene certainly did. Dante and Greg were excellent in this scene. I give this episode a ten, definitely. Old friends, old masters, and a new and very mysterious lion turtle. Put in ethical dilemnas, and it was a clear nine for me! Oops... looks like I posted about the lion-turtle on another thread. He seems like a much godlier entity than any other spirit being we've seen. How does he come to know so much about innate energy and how to permanently disable a bender's ability? Pakku, Jeong Jeong & Piandao's group effort in reclaiming Ba Sing Se blew me away. Aang consulting his past lives also enticed me. Kyoshi, in particular, for her straightforward answer which he perceived as ruthless and negatively saying something like "I knew I shouldn't have asked Kyoshi" Kuruk's love story was admirable but had nothing to do with Aang's struggle between taking away the life of a vile man or not. It was so sweet and cute! Well, despite the fact that I was sort of looking forward to this one the most (OMG THE RETURN OF IROH), it was probably my least favorite out of the 4. I mean, I loved it, just not as much as I loved the others. Mostly, I was disappointed by how little the pat avatars seemed to help. 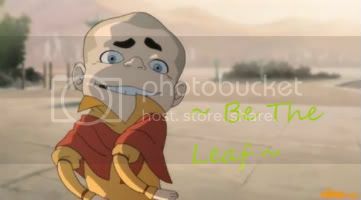 Aang is trying everything he can to find an alternate solution and the past avatars are like: oh, you have to kill him. Sorry! I was also disappointed about how we didn't really learn anything new about them. Roku and Kyoshi just told us what we had already learned in previous episodes, Kuruk pretty much gave us a shortened version of his online story, and Yangchen didn't really anything about her actual life. The other Old Masters were nice to see. Bumi taking back Omashu was sick. I wonder if Mai's parents got out okay..... and OMG PAKKANA. That was sweet. And Pakku's "no." to Sokka, was perfect. This episode was the only one that made me tear up a bit. As soon as Zuko's voice started like cracking, my eyes started completely watering. It was so touching, and sweet and EXACTLY what I was waiting for for so long that I just got so emotional...I wasn't outright crying (I'm not really the crying type), but I was pretty close. And I couldn't really understand the Lion Turtle thing. That part was kind of iffy for me.